These single shade palettes come in their own black velvet pouch, a delightful touch – a bit like the dust bags you get when you buy a classy handbag! The cases themselves are glossy and a gorgeous deep burgundy colour, with a gold trim at the front. You open them by pressing the gold trim – there’s a spring mechanism at the back to make that easy. The Eye Shadow Single collection can be used as an all over base shadow, as a crease contour or for soft definition. I love the texture of this matt shadow. It’s creamy yet has a silky dryness that really suits me – my lids are slightly oily, so pure creams are a bit of a no no. At the same time, shadows that are too dry often soak up the oil and cause creasing, even with a primer underneath. 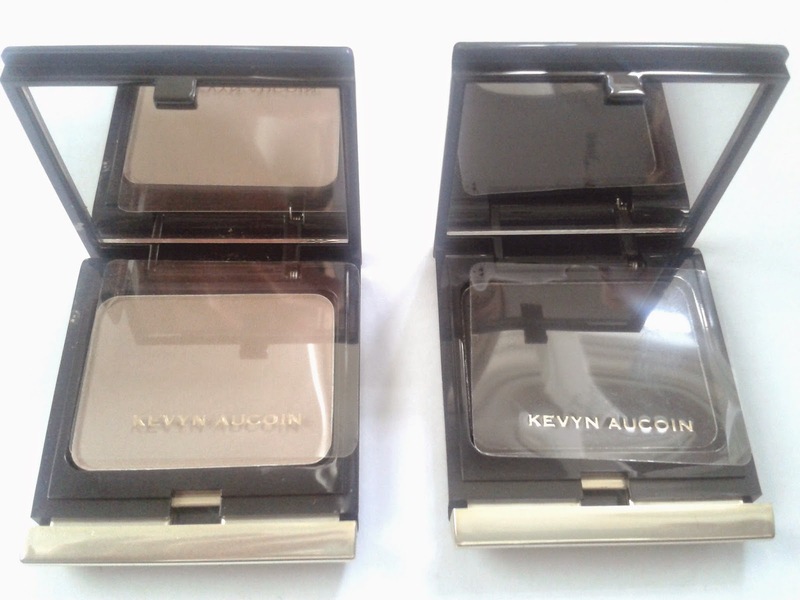 This Kevyn Aucoin combination really works for me. The two shades here are #107 Stone and #110 Black. The Black is highly pigmented while the Stone is soft and almost skin-like in colour. The black is very intense - even with a small dab of the brush. It required a ‘go steady’ approach to applying and a fair bit of blending. The stone, being just a little darker than my own skin colour, worked best when applied with a dampened brush to intensify the colour. The end result was sumptuous. Here below is the look I created. 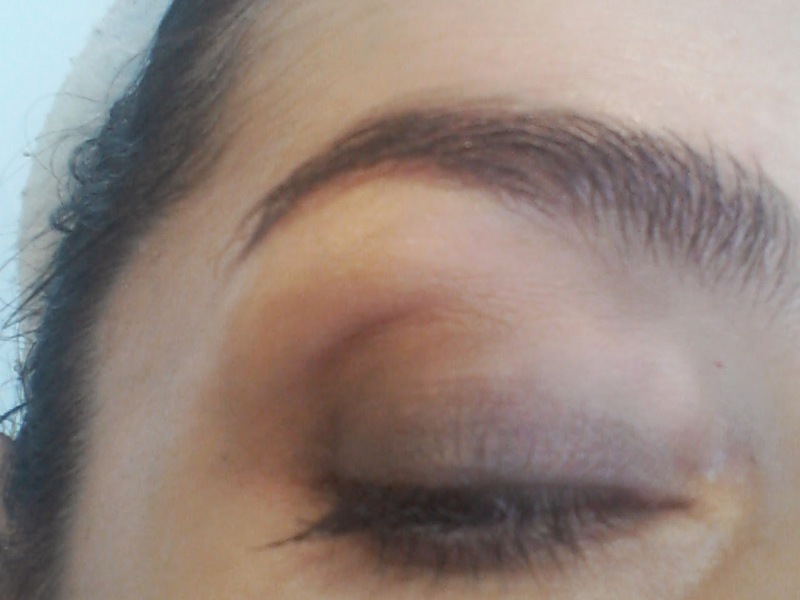 I applied black on the lids and into the crease, and stone on the upper crease, with a bit of highlighter above. These really are super shadows. I love the texture, the coverage and the way they blend. 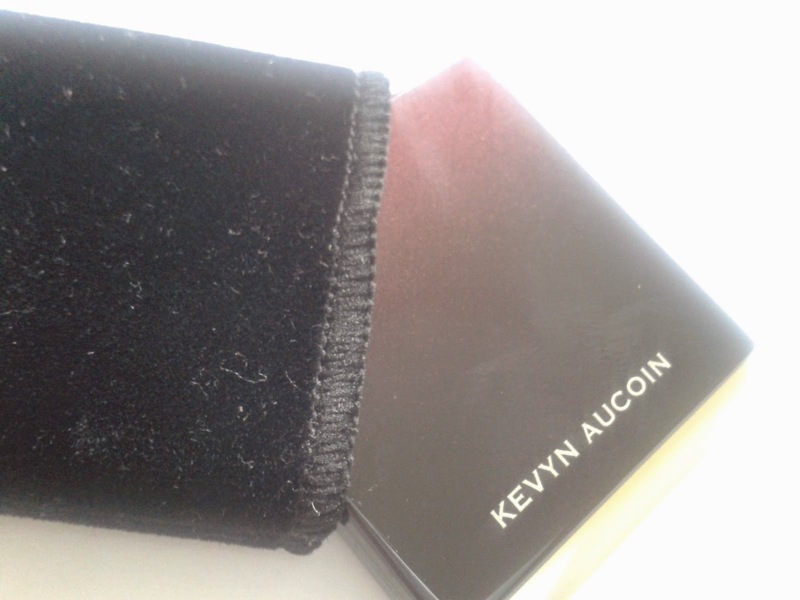 There was no creasing and the colour stayed put The Kevyn Aucoin The Eye Shadow Single collection is available in 10 shades. They cost £24 each and are available now at Space NK here. 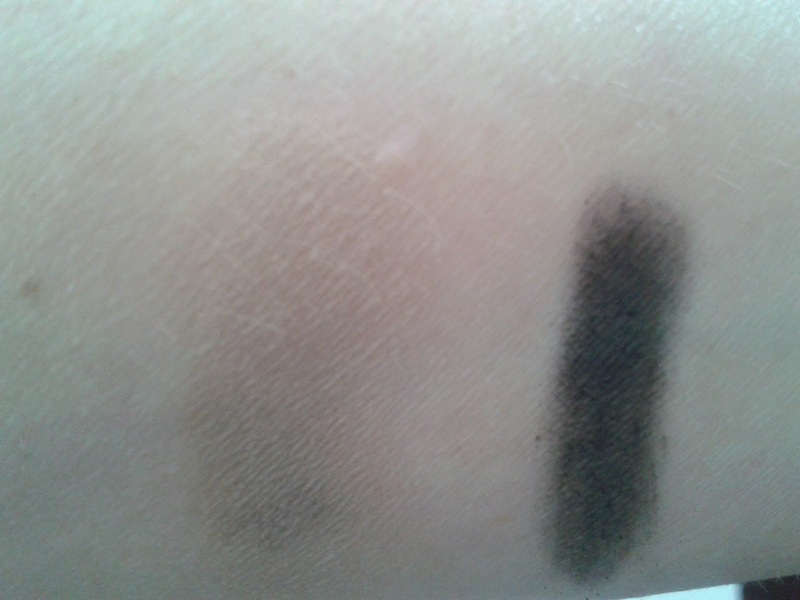 I love eyeshadows with built in pimer, it lasts so much longer and doesn't end up a big mess in the crease. Love the depth of the colour the black looks really matte which I love! Your eye looks wonderful. The product must be amazing, but so is your skill in applying it. I love the two shades that you have shown here, they give a lovely smokey eye look. Ooh, these look lovely and so luxurious too. I love the packaging - it all adds to the luxury feel.